The suburb of Parktown was laid out in 1893 by the Braamfontein Estate Company. It fell beyond the existing city limits and was considered to be out, “in the country” and therefore desirable as a place to live for Johannesburg’s new mining magnates, the Randlords. It was administered as a private estate until 1904 and had to provide its own amenities. For example, it had its own cow pasture called “The Oval” in the centre of the suburb – where the Wits Business School stands today. 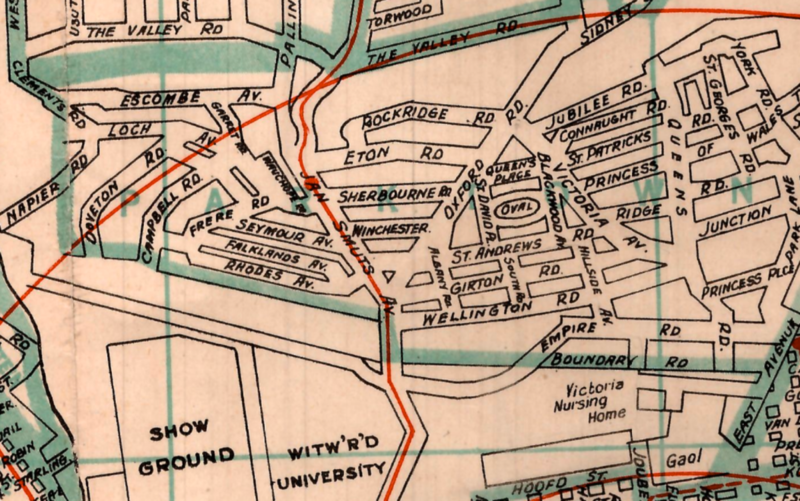 The Oval can be clearly seen in this map from 1929.